It's been nearly two weeks since Linkin Park singer Chester Bennington committed suicide, and his death has sparked tributes from across the music world. 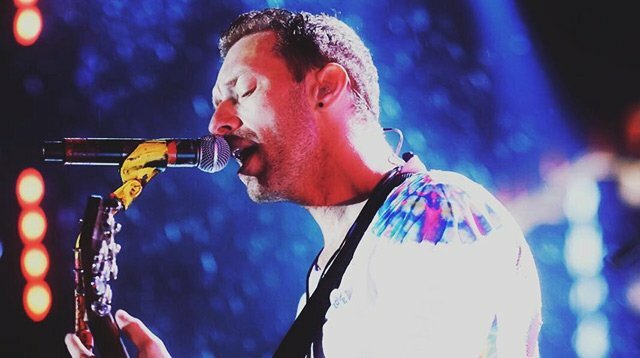 During a concert Tuesday, at MetLife Stadium in East Rutherford, New Jersey, Coldplay frontman Chris Martin performed a moving cover of "Crawling" to show his respect for the late artist. "From time to time, we like to do a cover song," Martin said, according to NorthJersey.com. "We're gonna do one right now–I hope it's okay. It may not sound that great, but it's meant in good faith. This is for anybody who's missing somebody, and this is for our whole community of musicians." Martin needed a drink of water at the beginning, so he started over out of respect for Bennington. "I know this is probably going to end up on YouTube, so I've gotta get it right, and I want to do it respectfully," he said. His version of "Crawling" definitely sounded more like Coldplay than Linkin Park, but it was touching, moving, and mournful, and definitely showed the respect he intended toward the late singer. Plus, the simple piano accompaniment helped highlight Bennington's lyrics, and the pain they reflected. Bennington's bandmate, Mike Shinoda, wrote on Instagram the cover "sounded beautiful."